Humans may also have sensory maps of the outside world encoded in the neurons of the brain's cerebral cortex, Adesnik said—not only touch maps, but also maps of what we see and hear, and perhaps our other senses. Many neurons are activated in layers 2 and 3 of the cortex (left) when a mouse's whiskers encounter an object (black dot in right image). After conducting experiments in which a vertical pole was placed in various positions relative to the mouse's face, researchers found that the position of the object was represented by a smooth map in the cortex. 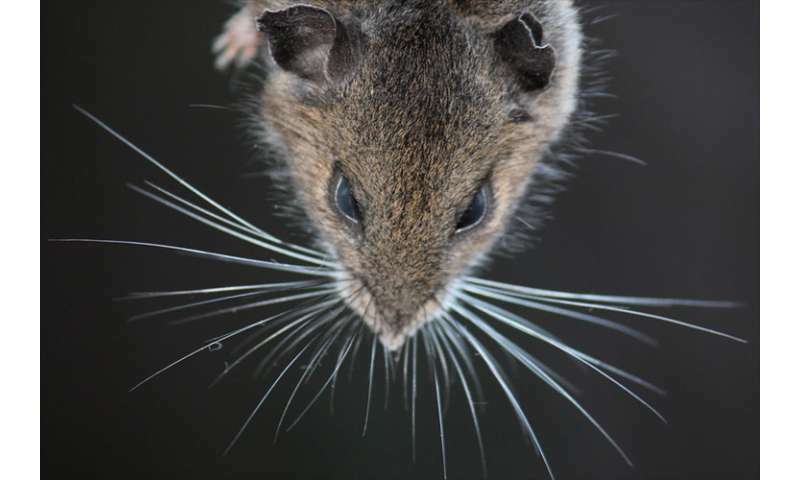 When researchers trimmed the whiskers down to one, the representation in the cortex was no longer smooth, showing that this layer of the somatosensory cortex was integrating information from all whiskers to create a map of the space around the mouse's head. Credit: Evan Lyall and Hillel Adesnik, UC Berkeley. 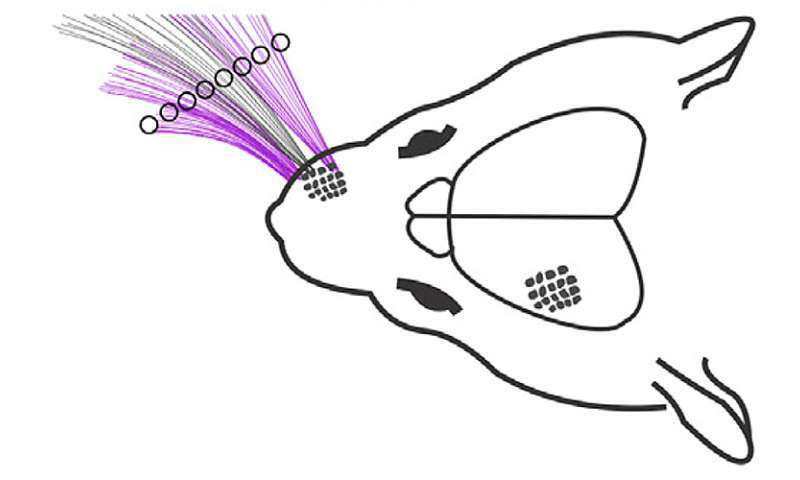 Researchers study rodent whiskers because the sensory nerves at the base of each whisker connect to well-defined structures in the cortex or outer layer of the brain—so-called barrel columns, because they're shaped like a barrel. Each of the mouse's 24 large facial whiskers has an associated barrel column that's activated when the whisker encounters an object. The entire barrel cortex is between 2.5 and 3 millimeters across.